If you bristle at the idea of having to pay to file your taxes, you’ll be happy to know that the IRS found 70% of all taxpayers are eligible to prepare and file their federal tax returns for free. And a variety of free federal and state tax solutions can help qualifying taxpayers file their 2018 tax returns without paying a cent. Some solutions that offer free filing are tax software providers that have partnered with the IRS through the Free File Alliance, while others are standard tax preparation offerings. Many have eligibility requirements. For example, IRS Free File options are for those with incomes below $66,000. Those with incomes over $66,000 can use Free Fillable Forms, though. All free filing options are well-suited for straightforward tax returns. IRS-affiliated free file offers must be accessed through the IRS website. Filing and paying taxes isn’t fun, but it’s something we all have to do. And getting anything for free is always fun. So, we’ve compiled the ultimate guide to filing your taxes for free. Included are 20 ways you can file your federal and/or state taxes at no cost. Some solutions have income limits that fall below the $66,000 range. Some are available only in select states. And others have age restrictions. For details on who can and can’t use these solutions, visit the IRS Free File Software Offers page or use the lookup tool. Several are covered below. 1040NOW and ezTaxReturn are not covered due to more limited eligibility requirements. If you make more than $66,000 annually, are comfortable completing your own tax returns yourself, but aren’t into paper forms, you can use the IRS Free File Fillable Forms online. These forms are accessible from the IRS website and come with basic guidance. You’ll need your 2017 tax return. Note, this option doesn’t include state tax preparation. There are no income restrictions. So, you can use these forms, even if you make less than $66,000. The most basic free option is to fill out the IRS paper tax forms and file them by mail. Note: While the forms and filing are free, this method does require you pay for postage. You can find your appropriate tax return form on the IRS website or at public locations like post offices and libraries. 1040.com offers an IRS Free File option for taxpayers under 52 who make less than $60,000 annually. It also offers a general free option. The general option offers interview-style tax preparation, a free update from your prior year—if you used 1040.com last year—and an auto-completed state return. Simple 1040EZ federal tax returns are filed for free. To qualify, you have to claim no dependents, have a taxable income less than $100,000 and fit other eligibility requirements. You can add your state return for free. 1040.com donates $2 to clean water projects for every return filed on 1040.com. eSmart Tax is a subsidiary of Liberty Tax that offers the IRS Free File option for anyone 53 or younger with an AGI of $66,000 or less. eSmart Tax also offers free returns in several states for those who qualify for free federal returns. Paid services will file your federal and state returns for just $19.95 each. FileYourTaxes.com offers free federal returns with the Free File Alliance. Most basic tax return forms are free, but customer service is limited to Q&A web pages and email notices. FIleYourTaxes.com does file free state returns for Iowa, Idaho, North Dakota and Vermont. The free version is available to taxpayers between the ages of 15 and 65 with adjusted gross incomes (AGIs) between $9,000 and $60,000. An IRS Free File option, FreeTaxReturns.com provides federal filing with unlimited customer support. Federal extensions are also free. To qualify for a free filing, you must be age 70 or younger, make less than $66,000, and live in any state other than Florida, Indiana, New Hampshire, New Mexico, South Dakota, Texas, Washington, Washington DC or Oregon. Free state returns are available in some states as well. FreeTaxUSA is an IRS Free File option for those with an AGI of $35,000 or less, who qualify for the Earned Income Tax Credit or were on active military duty. It provides free federal returns and supports more advanced tax situations, such as investments, small businesses, rental property income and itemized deductions. Free filers get free customer support, but priority support, amended returns and audit assistance require upgrading to the paid version. Free filers in 22 states can also file their state return for free. Other filers pay $12.95 to file state returns. With H&R Block’s Free File program, an IRS Free File option, you can file both federal and state tax returns for free if you are between 17 and 51 with an AGI of no more than $66,000, eligible for the Earned Income Tax Credit or on active military duty. Users can import their tax returns from any competing software, directly upload tax documents and prepare and file their returns using any device. Help is available through H&R Block’s online help center. H&R block also offers paid tax preparation. Due to tax reform, H&R Block has also added a tax reform center that is available in the navigation bar. It has resources about new tax laws in effect for the 2018 tax year. OLT.com is another an IRS Free File option. OLT.com supports more 120 federal forms and provides free amended returns and free customer service by email. Filers of any age with incomes between $14,000 and $66,000 can use the free option. Those who qualify for the free federal returns can also file free state returns. TaxAct provides free filing of 1040EZ and 1040A federal returns and state returns as an IRS Free File provider. Eligibility requires an AGI of $55,000 or less and being 56 or younger or qualifying for the Earned Income Tax Credit. Active military personnel quality with an AGI of $66,000 or less. Free federal filers also get free state returns. TaxAct also offers paid preparation services of less than $50 for federal returns and less than $40 for state returns. The service has both an online and desktop version of its software. And a Q&A format guides you through your return. There’s unlimited phone and email support for both tax and software-related questions. Once you’ve filed, you can track your refund status directly through TaxAct.com. TaxSlayer uses a step-by-step guided tax process to file free 1040EZ, 1040A and 1040 federal returns. You get W-2 and PDF imports and free email and phone support. While these filings are free for those 50 an under with an AGI of $66,000 or less, state returns cost $29. The exception is residents of Georgia, who can file a state return for free. Extensions are free for anyone using TaxSlayer. Paid preparation is also available for $17 for federal returns. If your AGI is less than $34,000, you can use the TurboTax Free File Program to file your 1040 EZ and 1040A federal tax returns and state tax returns for free. You can upload your W-2 as a file or just snap a photo, and the TurboTax software can automatically populate the right fields. You answer TurboTax’s questions to work through your return and electronically file (e-file) when you’re done. TurboTax experts and other online contributors are available to answer questions 24×7. TurboTax Free Edition also offers free filing for anyone filing a simple tax return. Paid preparation services start at $40. eFile.com offers free filing for 1040EZ federal tax returns. It is an authorized IRS e-file provider, but not part of the IRS Free File program. You can use efile.com to file single or married jointly with your spouse. Both e-filing and print filing are supported. And efile.com provides free online support, including a team of “Taxperts.” State return filings are available for $23.95. There are restrictions. For instance, you can’t claim dependents, have a mortgage or make more than $100,000. 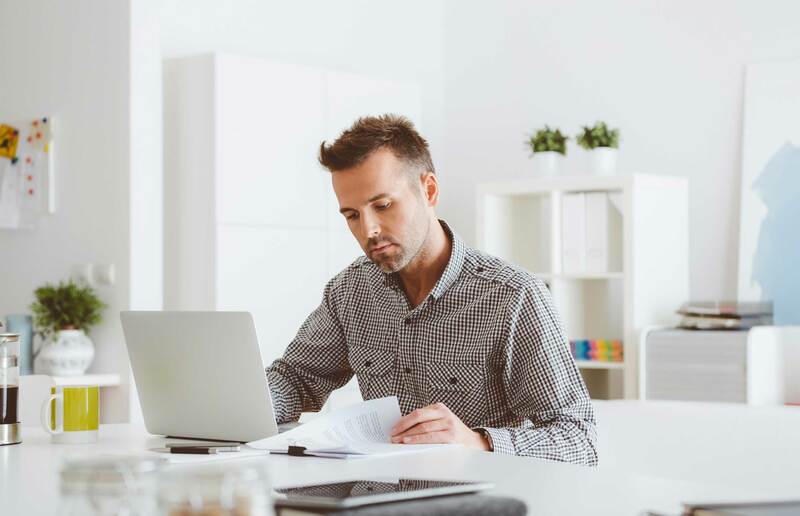 For more complicated returns that include itemized deductions, dependents, student loan interest, self-employment, retirement income and other items, Jackson Hewitt offers paid services. With Jackson Hewitt paid services, you can also get an interest-free tax advance refund loan. If the free federal filing provider you choose doesn’t offer free state tax filing. Or you don’t qualify for free federal filing, many states provide free tax filing services for residents. For instance, Maryland residents can receive free income tax assistance and even free electronic filing in person or over the phone. If you’ve found the perfect free federal tax tool but still need a free state tax solution, you may want to check on the resources available through your state government’s website. The Volunteer Income Tax Assistance (VITA) program provides basic income tax return services to qualified individuals with disabilities or limited English fluency who make $54,000 or less. With this program, IRS-certified volunteers provide free basic federal tax return services, including tax preparation and e-filing. Choosing the right tax preparation solution depends on your specific needs. Of course, key is that the solution supports your specific gross income and tax scenario. Beyond that, make sure the features you need—W-2 upload, prior year tax return imports, etc.—are supported. You may also want to look for 100% accuracy guarantees with a pledge that any fees or costs associated with mistakes are covered by the solution provider. Find the total price to file: Many tax software providers list the price for a federal return only. It can cost extra to file a state return. So it’s a good idea to calculate both to see what it will truly cost you to file your taxes. Look for hidden fees: Watch for common features, such as prior year tax imports, that can be hidden behind the login and only visible after you’ve started your return. Save time with a W-2 import: Free tax prep products that offer W-2 imports “can save time and improve accuracy since filers won’t have to do as much manual data entry,” Jaeger said. Look for unlimited phone or email support: Phone support is sometimes excluded from free tax software products. However you decide to file your taxes, check out these tips on maximizing your return and how to protect yourself from taxpayer identity theft. This article was last published January 23, 2017, and has since been updated by another author.